I must admit, with WiFi and a view of the mountains and lake, this is hard to beat. The huge plant in front of me is but a minor detail. I can see most of the mountains and the lake in the background. 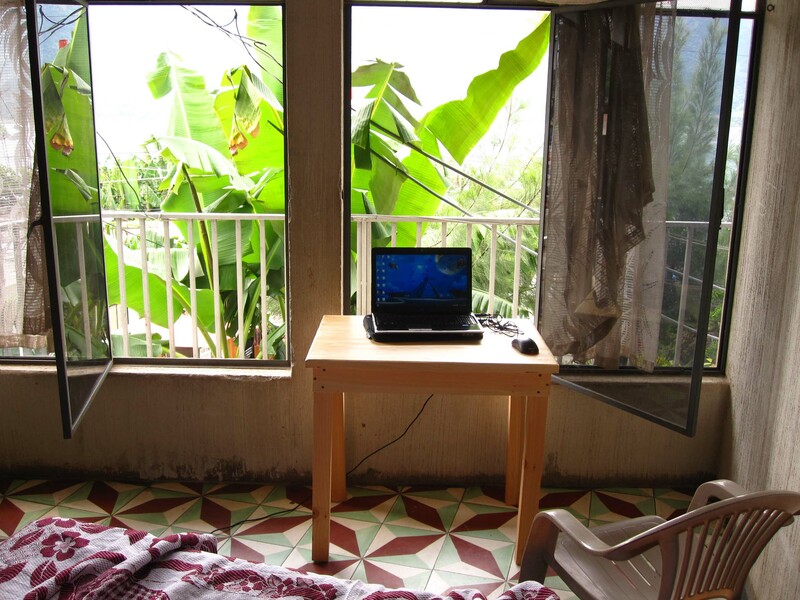 This entry was posted in San Pedro La Laguna and tagged San Pedro La Laguna on August 11, 2010 by Aaron.